Child birth is associated with emotions that can range from excitement to sadness, all in a matter of hours. 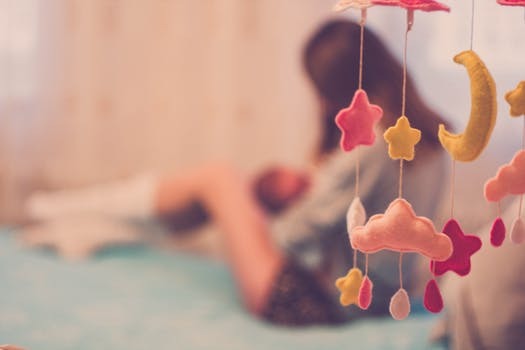 Anxiety while breastfeeding is quite common, for some women, breastfeeding comes very naturally with their new bundle of joy, and for others, it can be a hard, stressful and anxiety-filled experience, both physically and emotionally. One of the essential keys for successful breastfeeding is the formation of bond between mother and child. However, this often requires patience, practice and support. Ativan is a highly addictive prescription drug containing lorazepam, a high-potency intermediate-acting benzodiazepine. It was initially patented in 1963 by Wyeth Pharmaceuticals and went on sale in the United States in 1977 under the brand names Ativan and Temesta.. Ativan has anxiolytic, hypnotic, amnesic, anticonvulsant, sedative and muscle relaxant properties. Its high relative potency makes 1 mg of ativan equal in effect to diazepam 10 mg. Taking high doses of Ativan for an extended period of time can lead to physical and psychological dependence. Ativan is used to treat conditions such as anxiety disorders, insomnia, active seizures including status epilepticus, chemotherapy induced nausea and vomiting, alcohol withdrawal, severe agitation, as well as for surgery to interfere with memory formation and to sedate those who are being mechanically ventilated. What are the Side Effects of Ativan ? The effect of Ativan helps balance chemicals in the brain that can cause anxiety. Overdose of Ativan produces a fleeting, intense euphoric high known as ativan high, followed by a prolonged state of calm due to relaxation of muscles. Signs of an Ativan overdose can include: mental confusion, slurred speech, lack of energy, loss of control of body movements, muscle weakness, low blood pressure, slow breathing and coma. Get emergency medical help if you have signs of an allergic reaction to Ativan: hives; difficulty breathing; swelling of your face, lips, tongue, or throat. -Upper stomach pain, dark urine, jaundice (yellowing of the skin or eyes). The average half-life for Ativan is approximately 12 hours. However Its metabolite (lorazepam glucuronide ) has a longer half-life of 18 hours. It takes five to six half-lives for the medication to be mostly eliminated from your system.. This means that after taking your last dose, it may take around 2.75 days for the drug to be fully eliminated from your system. Lorazepam levels in breastmilk are low in comparism to many other benzodiazepines largely due to its short half life. Evidence from studies on nursing mothers show that that Ativan (lorazepam) does not cause any adverse effects in breastfed infants with usual maternal dosages and no special precautions are required. A study published in The BMJ (British Medical Journal) an international peer reviewed medical journal on the effect of maternal lorazepam on neonates reported that Though lorazepam was detectable in breast milk, the maximum amounts that an infant could absorb would be pharmacologically insignificant. Full-term neonates whose mothers had received oral lorazepam had no complications apart from slight delay in establishing feeding, which in seven out of 29 cases was associated with relatively large doses of lorazepam. However, the study noted that the Intravenous administration of lorazepam for severe hypertension was associated with significantly low Apgar scores, need for ventilation, hypothermia, and poor suckling among neonates and concluded that the intravenous use of lorazipam (Ativan) at any stage in pregnancy and oral use before 37 weeks should be restricted to hospitals with adequate facilities for neonatal intensive care. Whitelaw, A. G., A. J. Cummings, and I. R. McFadyen. “Effect of maternal lorazepam on the neonate.” Br Med J (Clin Res Ed) 282.6270 (1981): 1106-1108.